In New Zealand, you can choose to donate your heart, lungs, pancreas, liver and kidneys. The donation of these organs will extend and save some peoples’ lives, while greatly improving the quality of life for others. Tissue transplants include eye tissue (corneas and sclera) to restore sight or repair eyes and heart valves which are often used to save the lives of babies and young children. Donated skin is the preferred dressing for people with severe burns. Through the donation of both organs and tissues, one donor can transform the lives of up to ten recipients. It is not well known that stating on your NZ Driver’s License that you’re a donor is not the end-all and be-all of donating, as your family have the authority to override your request. To ensure that you are a donor when you have passed, you must have the conversation with your whānau about your desire to donate your organs. If you are unsure how your whānau feel about organ donation, start the korero with them today. Eru George, a member of the Lakes Māori Health team said that “If the discussions are not had and the family not happy, it ultimately takes away the opportunity for a person to make their own decision." He went on to say that “it had to be a decision made by an individual after discussion with loved ones. 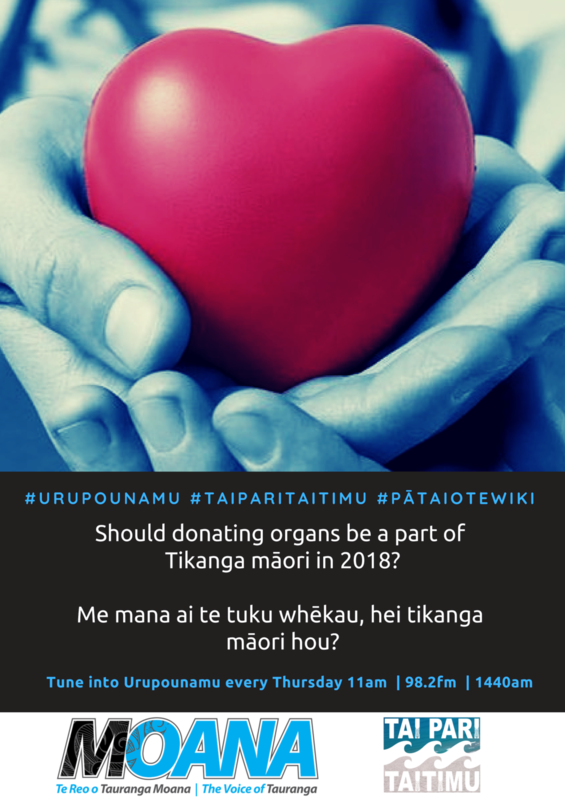 what if organ donation didn't diminish tapu but enhanced it?